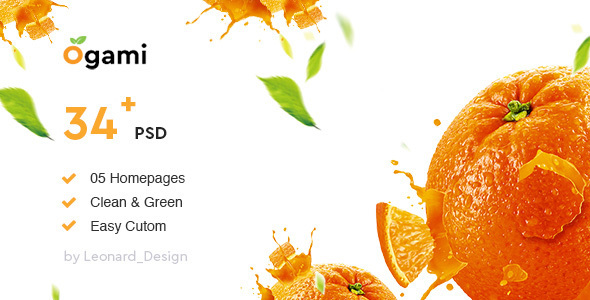 Ogami is the premium PSD template for Organic Food Shop. Built especially for any kind of organic store: Food, Farm, Bakery, Organic nature Cafe… Ogami brings in the fresh interface with natural and healthy style. The template includes essential pages for a Organic Store: Shop, Product Detail, Shopping Cart, Checkout, Blog, Contact. You can customize it very easy to fit your business needs. If you like my templates, please rate it 5 stars. It’s very useful for me.